Okay, first of all, I just want to say that those Fox execs are complete doucheheads. Why in the world would they keep the best episode of the season from airing? Epitaph One was pretty ubersupercalifuckingfragilisticexpialidociously amazing. It’s the best TV episode not ever shown on TV. After watching Epitaph One’s dystopian mind freak, I got a huge headache just contemplating a future like that. It was epic. While I was watching the episode, I was praying to Joss and co to not break my heart. But he did anyway, cause he’s a genius like that. The best part about Epitaph One was how all the actors brought their A game. I fell in geeky love with Fran Kranz as Topher Brink. I detested his annoying character when he had smugness overload, but seeing him driven to despair and insanity made me want to hug him and pat his head. Olivia Williams as Adelle DeWitt was also outstanding. Someone finally gave Ms. Do-it a gun, and she became even more badass, which I thought was already impossible. And Amy Acker, as Dr. Claire Saunders/Whiskey, was simply ethereal. Even the guest stars gripped your heart until it bled. Felicia Day was a win. I also sighed in fan girly relief every time Eliza Dushku walked on screen. Sometimes I even sighed in relief when she wasn’t on screen, because somehow Caroline was. Speaking of, the 10 year old girl whose name I do not know, was awesome. Seriously, people have to watch Dollhouse. If only to help them get their heads out of their asses and make them actually think about the essence of humanity, what an identity consists of, what it means to lose that, what it means to SELL that, and what it means to have to tattoo your own freakin name on your body to make sure that you still know who you are. 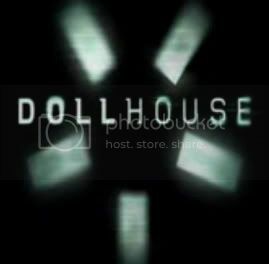 I can’t wait for Dollhouse's season 2.